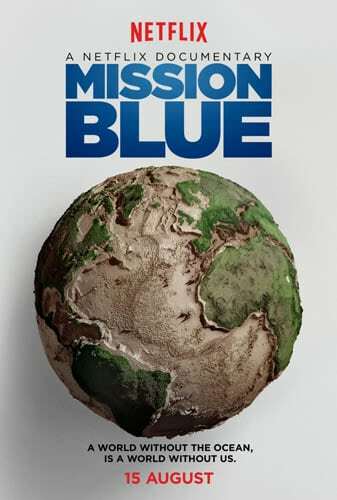 Key art and a trailer have been unveiled for MISSION BLUE, a documentary which premieres on 15th August 2014 in theatres in NY and LA and on Netflix in all territories where Netflix is available. More than four years in the making, MISSION BLUE is legendary oceanographer Dr. Sylvia Earle’s eye-opening wake-up call to save the ocean. Directed by Fisher Stevens (“The Cove”) and Robert Nixon (“Gorillas in the Mist”), the film follows Dr. Earle on her global quest to protect the ocean — and the extraordinary marine life that calls it home — from the powerful forces of pollution, overfishing and climate change. The film also sheds light on Sylvia’s remarkable personal story and professional journey, from her earliest memories exploring the ocean as a young girl to her days leading daring undersea missions, offering insight on the sacrifices, difficulties and tough choices she faced along the way.